Lombok Outdoors is a company providing a range of activities to suit all needs, including volcano climbing, surfing and sea kayaking. Run by Supratman, a local to the island of Lombok, Lombok Outdoors provides local expertise knowledge and classes in surfing for all levels. Lombok has been known as a surfing destination by experienced surfers for a while, with the southern coastline offering an array of reef breaks for surfers around the world, whilst other waves around the island coastline are perfect for beginners. 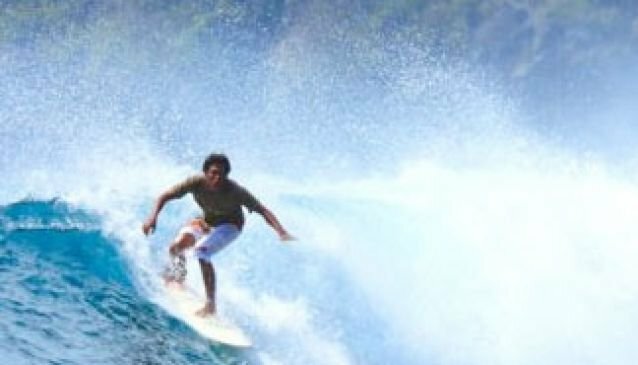 Lombok Outdoors gives surf lessons run by local surf instructors who are knowledgeable and fully trained by Australian Surf Instructors to provide you with a safe yet enjoyable experience. Lessons are also available for advanced surfers, where local knowledge can help you find the best surfing spots. Lessons last three hours and usually take place at Mangsit or Pendanan Beach along Senggigi Beach. GSI foam boards, booties and helmets are all provided.